The Canadian type of water taxi. If you are in Canada and wish to experience something really Canadian - paddling a canoe would sometimes come to mind. And what if you, not only would like to do something Canadian, but also want to try something that you won't find anywhere else in the world? 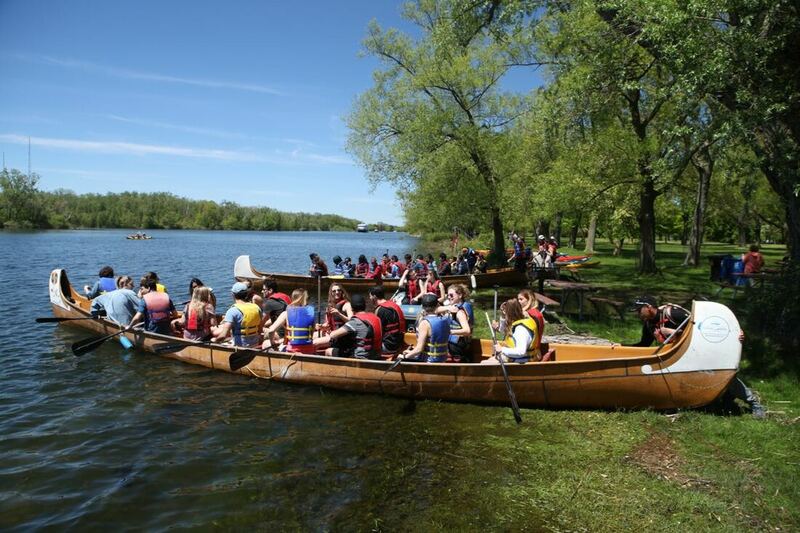 Hop on one of the Canoe Taxi's Voyageur Canoes, and help to propel it by dipping your paddle in the water and paddling along other passengers. Among many benefits of this fabulous activity, you would be rewarded with an excellent cardio workout, positive energy, feeling good about not leaving a foot print (by using not motorized vessel), and might even acquire some new friends, among the fellow paddlers, by the time you reach your destination. Departing Toronto Islands in Voyageur Canoes.